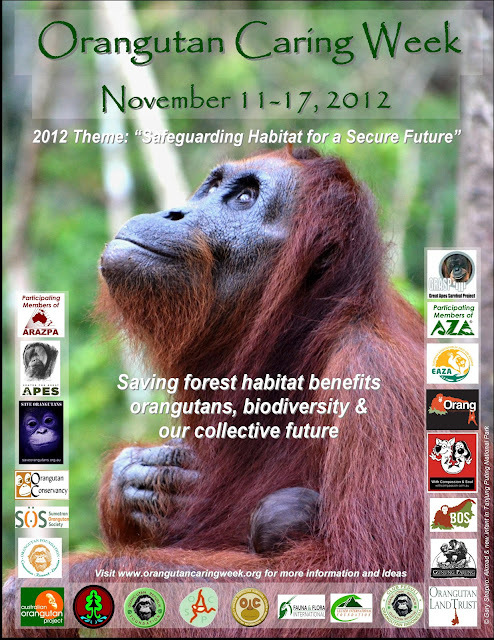 A year has passed and it's Orangutan Awareness Week once more. If you feel like you want to give a helping hand for the Orangutans who's natural habitat is being destroyed, mostly for Palm Oil plantations, you can adopt an Orangutan at, for example RedApes.org, you can sign petitions here and here or you can just join the Orangutan Outreach group in Facebook to get more information on what's happening when it comes to helping to save the Orangutan. Remember that the conservation efforts of the rainforest does not only help Orangutans but all animals living there.